One of my favorite tools over the last few years has been A1 Website Analyzer (which is similar to Screaming Frog SEO Spider). It’s become an important tool in my on-site/technical SEO audits, as it quickly displays pages with poor (or non-existent) internal linking, short title tags, mismatching canonical link rel elements, slow loading times, mobile issues, non-indexed pages, etc. 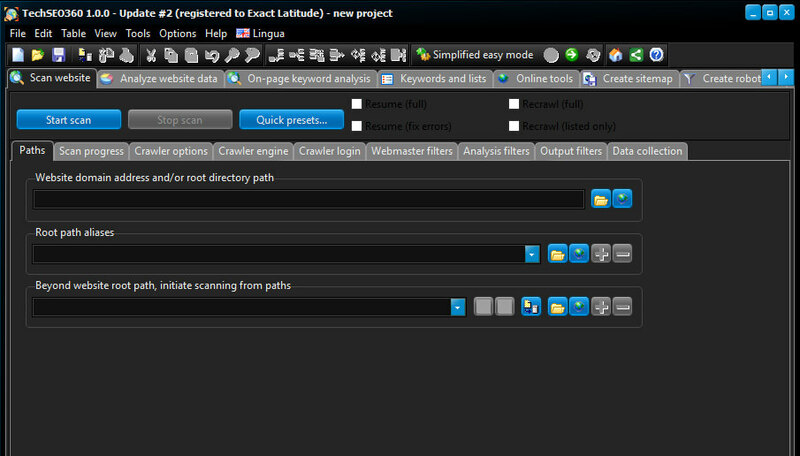 I’ve also used the same company’s tools for on-page keyword analysis, XML sitemap creation and scraping. Well it looks like Microsys finally wised up and bundled these and other tools into a single software package: Tech SEO 360. Aside from combining keyword analysts and sitemap generation, it also adds a couple of new features that have made my life easier. The ability to import file logs and search analytics exports from GSC means I can now cross-reference a site’s internal linking against external crawls. This is helpful as it can point out orphan pages or high search impression pages which are poorly linked internally. I’ve found this valuable for gaining quick search traffic and ranking gains. It’s also cut down my audit time immensely. The license is $99 annual (so about half the price of Screaming Frog SEO Spider). There is a 30-day (fully functional) free trial, after which you can continue to use the tool for free, though the crawl will be limited to 500 pages (similar to Screaming Frog SEO Spider).